Right at the heart of Quezon City's 24/7 entertainment district, walking distances to GMA 7, ABS-CBN, very near schools, hospitals, churches, shopping malls and wet markets. 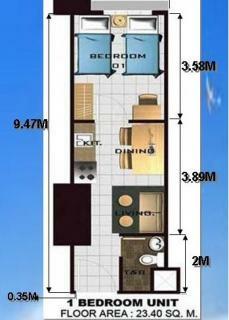 This 38 storeys condo offers a lifestyle of ease, comfort and luxury at a price you will not expect. 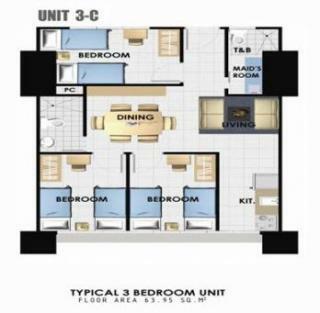 A choice of 1 bedroom to 4 bedrooms units is at your option, be it for own use or investment purposes (due to the steady rising property values in the locality). The Winland Tower Residences will consist of 56 commercial units on the lower floors, 6 parking levels, 1540 residential condos, a sky deck for the club house, gym, function room, swimming pools and garden/jogging path. It will be served by 5 high speed elevators, fire detection- sprinkler system, standby generators, provisions for electric/telephone lines, water lines with overhead cisterns for adequate water supply, entry phone, 24-hour security controlled entry points, garbage chutes, master tv antenna/cable tv and an elegant entrance hall with reception counters. This residential/commercial condo development is another project of one of the biggest construction companies in the country, experienced in both horizontal and vertical real estate developments, the builders of Platinum 2000-Greenhills, the Quezon City Hall, IT Center-Cebu City, SM Cebu & Iloilo, Sheraton Cebu, HKP Hotel Cebu, Winland Towers Cebu just to name a few of the more than 100 projects it has finished since its inception in the late ‘50s. 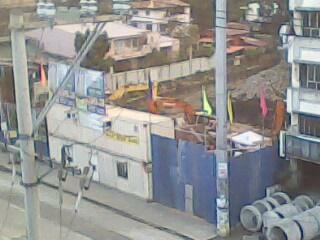 Buy now at this early stage of development (foundation excavation/laying) while it is still relatively cheap ! Avail of the generous discounts on cash purchases or the very practical installment terms which are easy on your pocket and budget … Invest on this prime property. Please call /email me for assistance (Tony Franco – 09208201477, acf1260@gmail.com), I’m at your service 7 days a week. See you at the site !